Watercolour, pen and ink on paper. Dimensions : Frame : 515mm x 377mm x 21mm. Image : 375mm x 235mm. 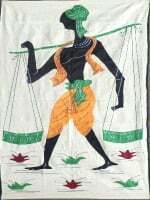 Weight : 1.700kg net. Condition : Good. 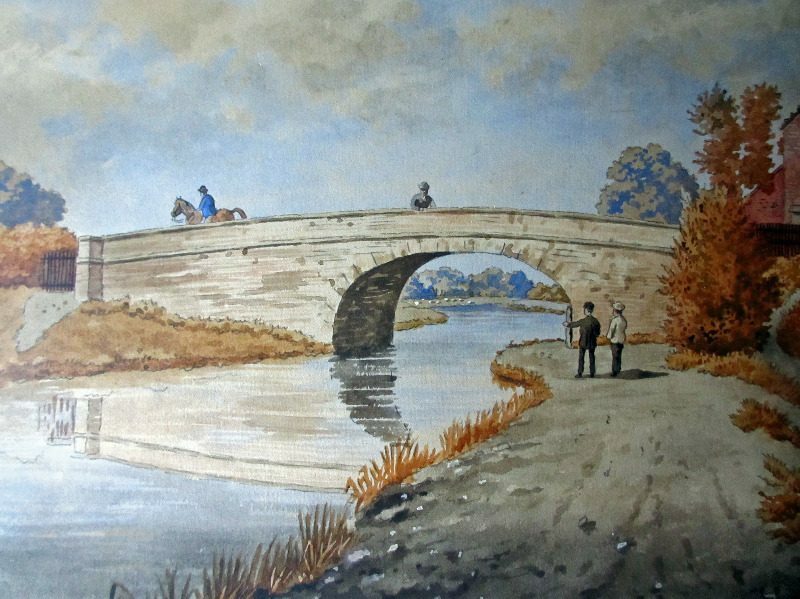 The Old Bridge, Lady Bay, Nottingham, watercolour, pen and ink, signed Wm. Fred Austin, c1870. 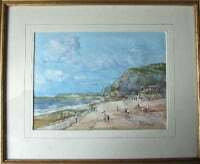 Framed and glazed. Dimensions : Frame : 515mm x 377mm x 21mm. Image : 375mm x 235mm. Weight : 1.700kg net. 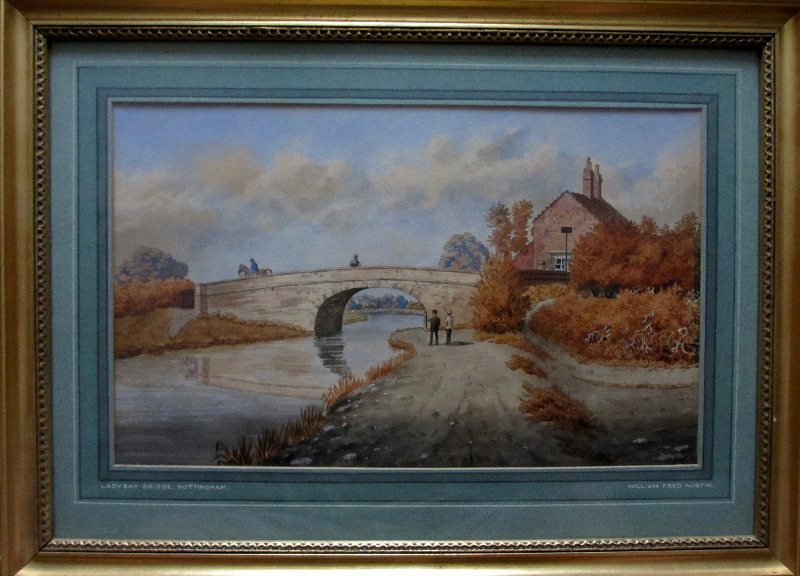 Note : The above painting was sold at auction 26.11.2015. 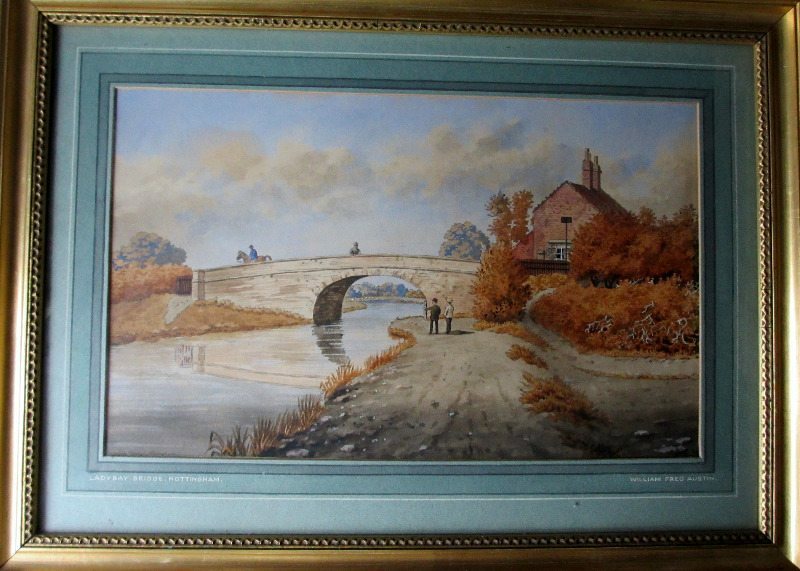 The Mayfield painting is an oil, very similar dimensions, depicting the bridge at a slightly different angle and amazingly even having the same sign on a pole at the rh side of the bridge in front of the house. 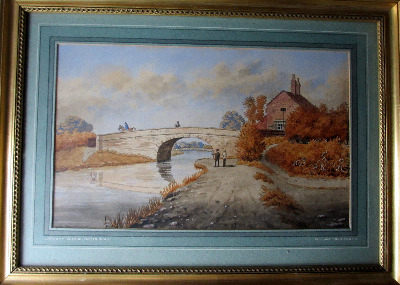 Based on the date 1862 of this painting, c1870 is probably a little late as there are no noticeable structural changes in the two images apart from the window of the house which has changed slightly. 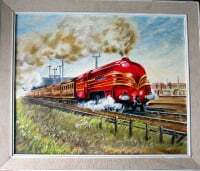 The painting is signed Wm. 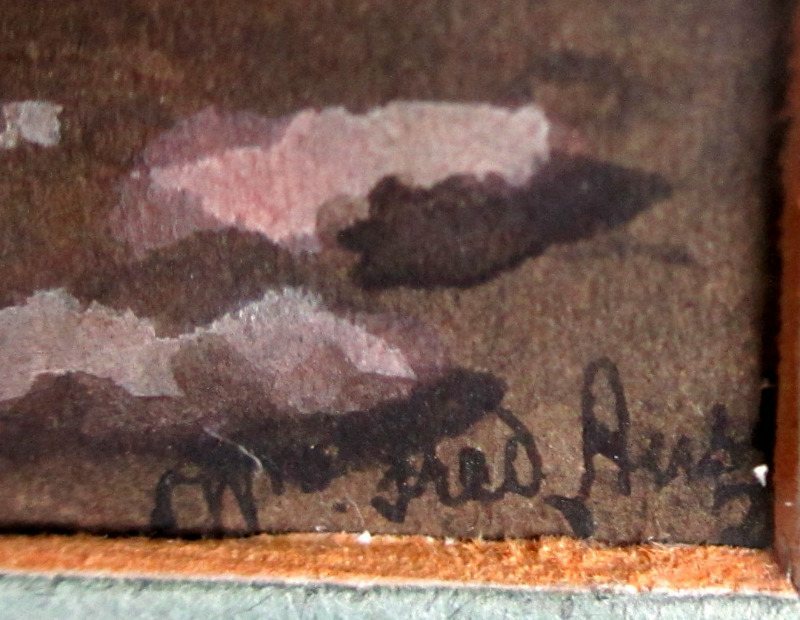 Fred Austin in black ink in the lower rh corner and the beginning of the date is below the signature but unfortunately obscured by the mount board. 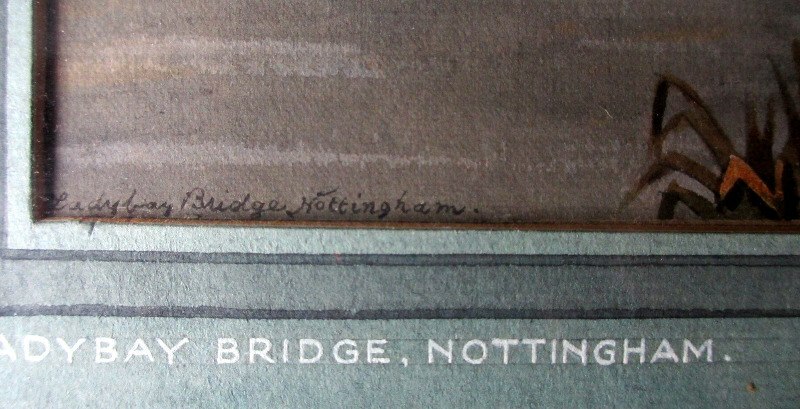 The title "Lady bay Bridge Nottingham" is written in black ink handscript by the artist in the lower lh corner. 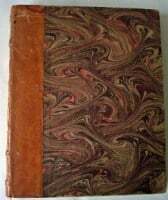 Note that he has written Lady Bay as one word Ladybay which may have been the convention at that time. 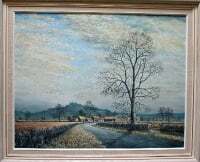 The painting is displayed within a"Moorland" green lined mount which is in good condition with toning to the window cut edges which complements the colour of the vegetation in the painting. 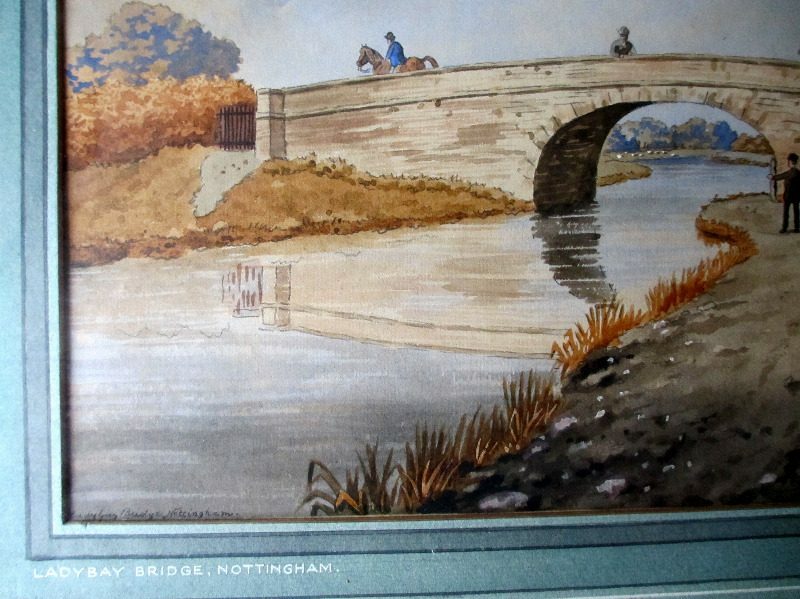 The title Lady Bay Bridge, Nottingham, is printed in white paint on the lower lh edge of the mount and the artist's name William Fred Austin on the lower rh edge. The gilt wooden frame is in quite good condition with a 2mm surface chip on the lower lh corner and another 2mm chip on the lower edge along with light general wear. 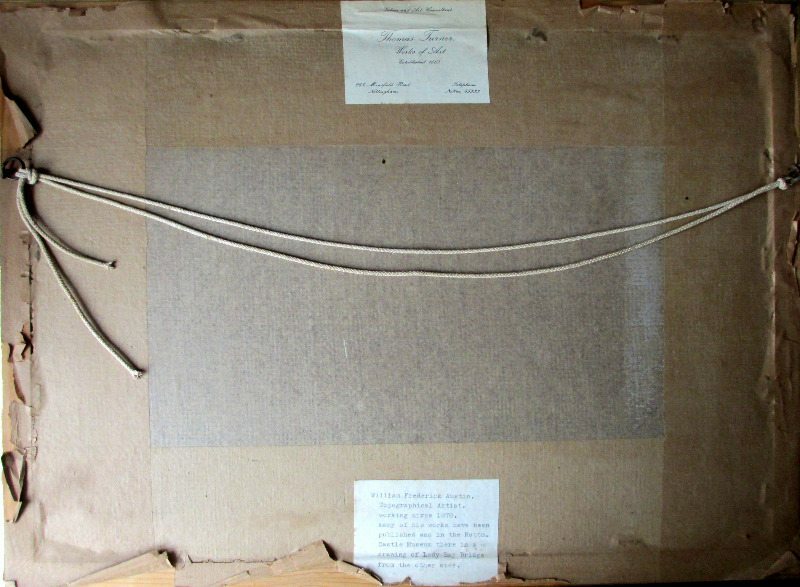 The frame is closed with a card backing board secured by arrow points and sealed with 95mm brown paper which has detached in places. 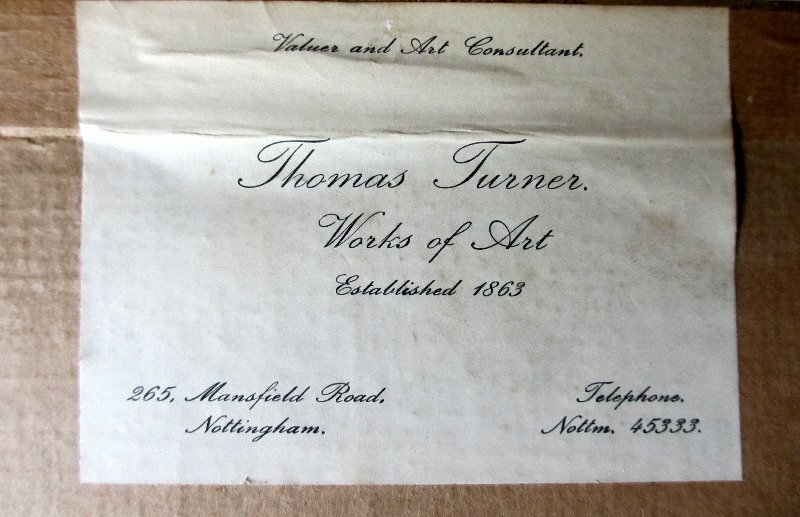 An old label is attached at the top edge which states "Valuer and Art Consultant. Thomas Turner. Works of Art Established 1863. 265, Mansfield Road, Nottingham. Telephone Nottm. 45333". 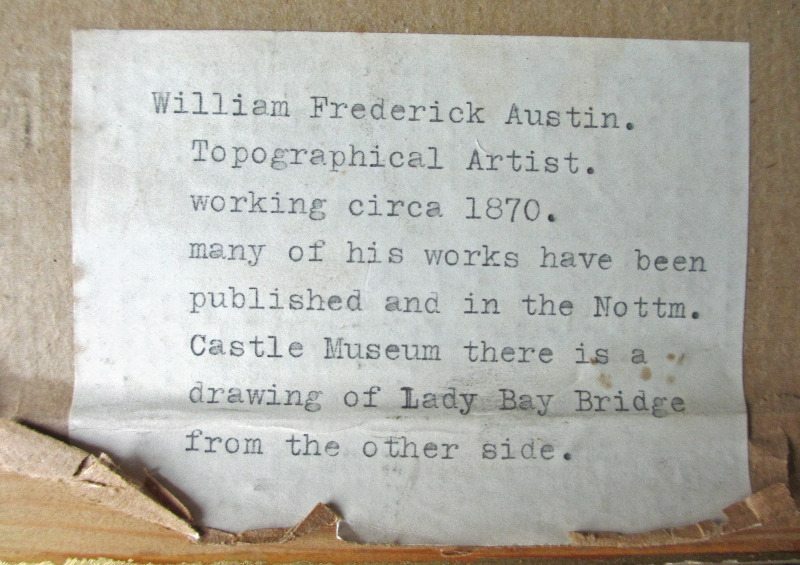 Another old label is attached at the lower edge which states "William Frederick Austin. 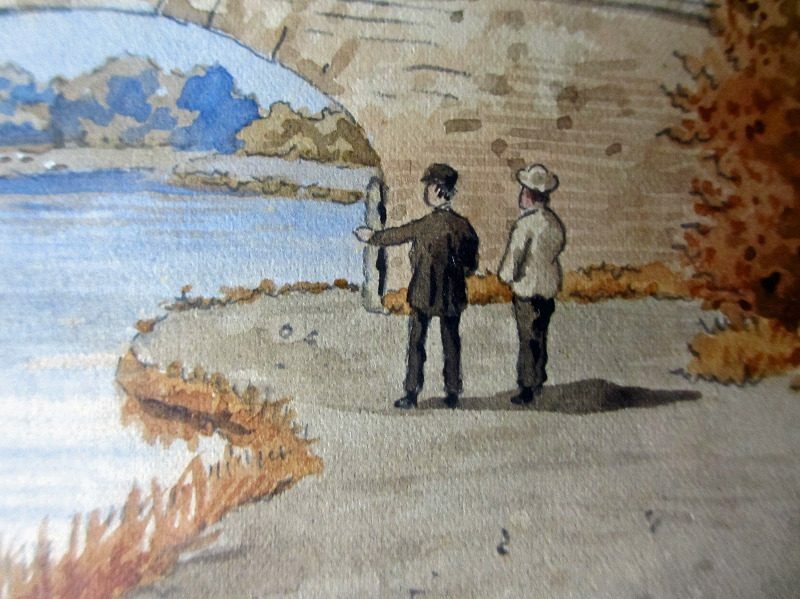 Topographical Artist. Working circa 1870. 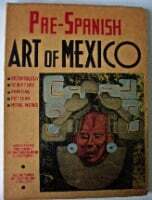 Many of his works have been published and in the Nottm. Castle Museum there is a drawing of Lady Bay Bridge from the other side". 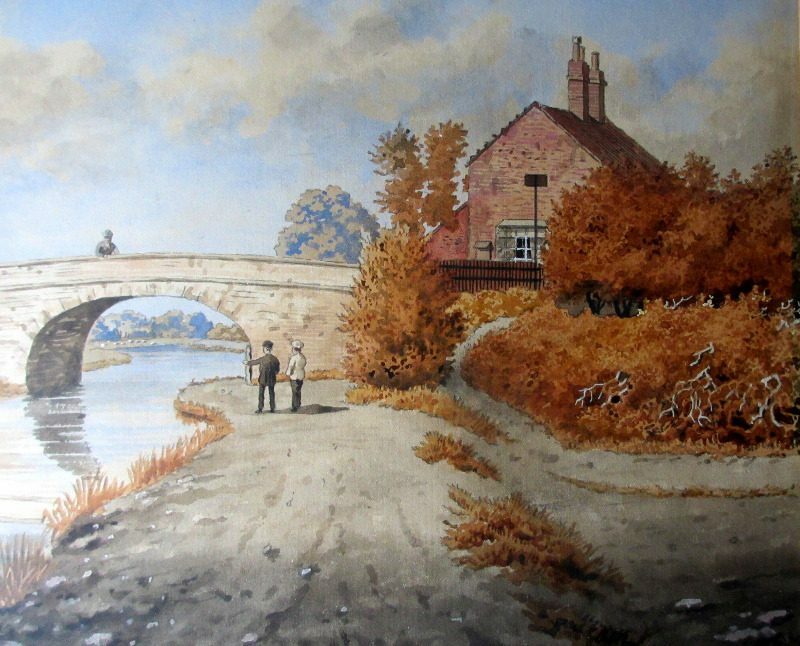 This is interesting provenance and combining this with the aforementioned Mayfield painting of the same scene attaches much local historical importance to this painting. Old rings and cord attached.